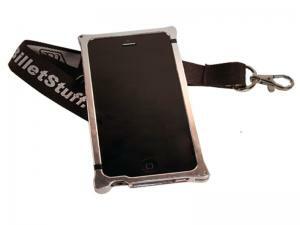 Custom Products is proud to manufacture cell phone bumpers in the USA under the name of our new division, Billet Stuff. The billet aluminum bumper frame includes composite break-away inserts designed to minimize impacts to the phone. Lanyard attachment points make this an ideal carrying solution for those times when you don't have a pocket or purse. Lanyard included.